Leaving school - what are your career or education options? When the English school leaving age was increased in 2013 to 17 and then further increased to 18 in 2015, there was both support and kick back from parents and teachers. The initiative was implemented by the UK government in a bid to tackle the large numbers of young people leaving school with no discernible qualifications or transferable skills. However, it left a few individuals confused about the requirements, considering GCSEs finished at 16 and seeking further education was non-compulsory, there were questions about what a school leaver was expected to pursue. Luckily, a few years on, now in 2018, there are more options available for those leaving school than any generation before, particularly with the introduction of “T-Levels”, which will be introduced in September 2020 with the full scope of courses rolled out in 2021. School Leavers Age – when can you leave education? Across the UK, the age of which you leave school depends on the country you live and study in, aforementioned English learners must remain in a form of education or training until the age of 18. Scot’s turning 16 between 1st March and 30th September are allowed to leave school after 31st May that year. While those turning 16 between 1st October and the last day of February, need to remain until the start of the school holidays of that year. Welsh students can leave school on the last Friday in the month of June on the condition the student is turning 16 in the upcoming school summer holidays. Finally, those in Northern Ireland turning 16 during the school year (1st Sept – 1st July) may finish school after 30th June of the same year whereas those celebrating their 16th birthday between 2nd July and 31st August may not leave until after the 30th June of the following year. In England, students are expected to continue in education until 18 or have some sort of work-related training set up to attend during this time alongside working hours. During this time, they can go the classic route of studying for AS and A-Levels to pursue higher education, either remaining at the school they have been studying at if a sixth form option is available. Alternatively choosing to move schools/colleges and continue their education in a new institution. A-Levels are the best course of education for school leavers looking to attend a highly prestigious university like Oxford and Cambridge. There are a number of expectations for undergraduates looking at how to get into an Oxbridge university, of which strong A-Level grades are considered a necessity. In terms of education, students can also choose to study an International Baccalaureate (IB). While previously this was only available at a handful of private or independent schools around the country. There are now approximately 125 schools in total across the UK offering IB study, of which 118 offer IB as a post-16 option. The qualification gained from the International Baccalaureate is known as an IB Diploma and is well recognised at Universities and Colleges across the world. There are currently 126 universities alone in the UK that recognise the IB Diploma, including the high-ranking Russell Group Universities. For school leavers who don’t want to seek traditional education, there are several options available for post-16 training. 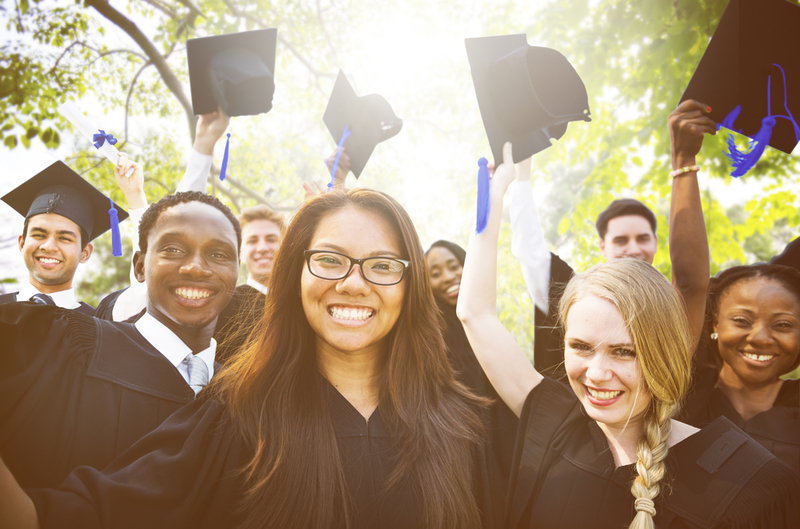 Higher National Diplomas (HNDs) are growing in popularity and are available for students between the ages of 14 and 19, residing in England. It is an educational path that incorporates less classroom-style learning, instead aiming for more practical opportunities. HNDs offer students an opportunity to study in specific or specialist industries such as Finance, Music Production, Engineering and Travel & Tourism. National Vocational Qualifications (NVQs) are another type of practical learning and are achieved through higher loads of coursework, assessment and training. They are only available in England, Wales and Northern Ireland, with the Scottish equivalent known as a Scottish Vocational Qualification (SVQ). They are often offered alongside apprenticeships, which are another option for school leavers at age 16. Apprenticeships are an opportunity to lean on the job while also receiving a paid wage, it is the perfect opportunity for school leaver’s who are more hands-on and would like the opportunity to enter the work-force sooner. Apprenticeships are heavily supported by the government with businesses often offered wage supplements to encourage apprenticeship opportunities across numerous industries. Where a school leaver doesn’t have enough skill or experience to satisfy an apprenticeship, traineeships are an intermediate option, lasting a maximum of 6 months and available for 16-24-year olds. They are designed to bring young persons up to speed and ensure they have the skill and experience necessary to seek out an apprenticeship and increase their chances of acceptance. T-Levels, which won’t be available until 2020 initially, are known as “Technical Levels” and provide a technical alternative to AS and A-Levels typically studied in sixth form or college. The first courses to roll out will be Digital, Construction and Education & Childcare, followed by a further 22 courses in the following year including Creative & Design, Finance & Accounting and Engineering & Manufacturing. 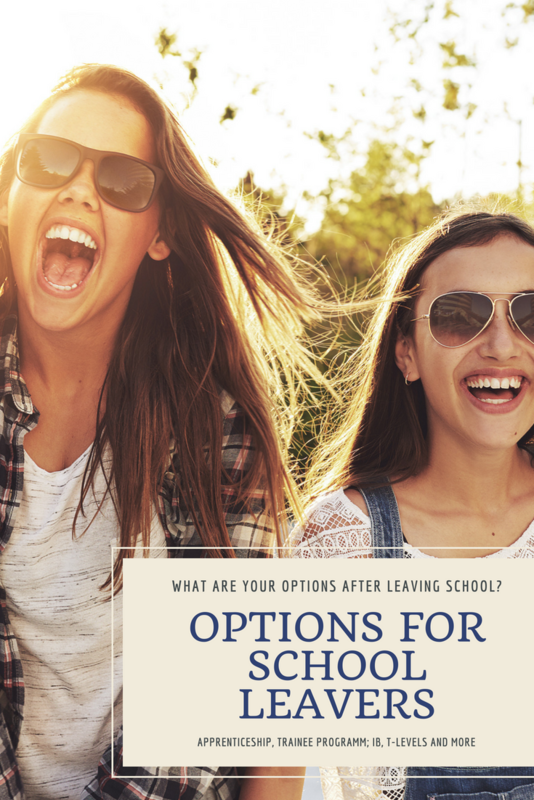 For students preparing to leave high school education in the next few years, there are more options available now than any school leavers before them and a lot more being made available on the horizon. Especially for those who aren’t academically minded, apprenticeships have been extremely useful, allowing them to learn while earning at the same time. If you are a parent of a high school aged child, have you discussed what they would like to do after leaving school and compulsory education and the route they would consider for a potential career? It’s never too early to discuss, particularly if they are set on attending a prestigious university that requires high grades, potential further tutoring and strong extracurriculars.